This is part of a flower's reproductive system. 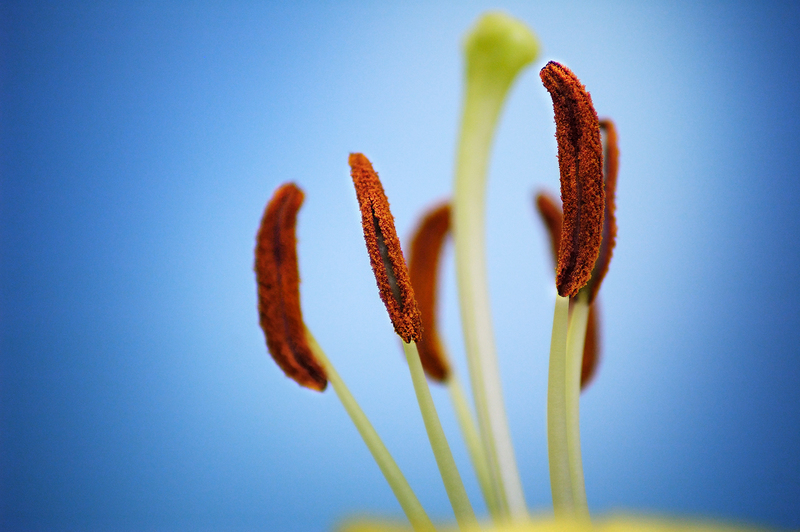 A detail of several stamens, each of them made up of a filament (the stalks), anthers and pollen sacs. But as I've said many times I am no specialist. I just want you to appreciate the beauty of it all and wish you all a nice week. Glorious and an usual capture of that part of a flower. gorgeous composition. I have enjoyed catching up on your photos. I really like the cogwheels and pebbles! Qué flor nos presentas aquí Carlos? Yo alucino con los molinillos de viento... el diseño me parece... perfecto! Thanks Julie. Glad you liked that one too. Gracias por tu comentario Enric! I certainly am appreciating that beauty, this is just beautiful, in terms of the color, the design, a bit of surreal abstraction and a touch of magic! !